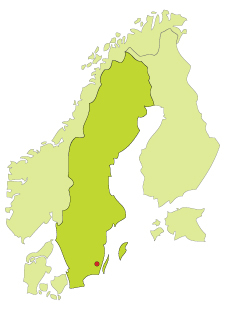 This small area in the counties of Kronoberg and Kalmar in Småland receives over a million visitors each year. Many people return here over and over again. It is easy to see why. There is an adventure waiting around every bend in the road in this part of Sweden. You can stroll through deep enchanted forests and also let yourself be dazzled by the magic of glass. There are 15 glassworks within a radius of a few Swedish miles that create the everyday glassware and colourful works of art that are renowned world-wide for their beauty. This region, from which many people emigrated and travelled to America, is now bustling with life, art and activity. Contact us for a custom made offer that cover this beautiful area.